7th August 2010 – On 4th August the conversion of the Energy Decree, with Legislative Decree 8 July 2010 no.105 was definitively approved. The act contains urgent measures in relation to the energy issue and passed the examination of the Chamber on 3rd August following the introduction of various amendments. It was formally approved by Palazzo Madamo, as it was in the Chamber sitting. The approved version of the act provides for an extended timeframe for the implementation of a “legislative decree in relation to the re-ordering of the incentive system”. The decree contains important dispositions, some of which are particularly important for the renewable energy sector. In order to “avoid speculative activities tied to the development and authorisation of projects and electrical energy production plants fuelled by renewable sources”, the Department of Economic Development will establish “appropriate measures in order to ensure that authorisation requests are accompanied by congruent financial guarantees at the expense of the company requesting the authorisation or by eventual successor companies”. 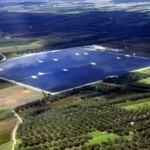 Green light for the extension of the incentive system which has pushed back the date by which photovoltaic plants must be operative, from 31st December 2010 to 30th June 2011, allowing for continued benefits by incentive tariffs provided by the current Conto Energia. Incentives “are applicable to all subjects who have concluded the installation of photovoltaic plants by 31st December 2010” and who “by such date have communicated to authorities responsible for the issue of authorisation, to the network manager and to the Manager of electrical services – GSE S.p.a., that works have been concluded and that the plant is operational, by 30th June 2011”. Art. 1-quarter (which may be named “save Puglia”) validates DIAs (Notice of Commencements) presented on the basis of regional laws for plants with a capacity greater than levels set by Legislative Decree 387/2003 “provided that plants are operative within one hundred and fifty days from the effective date of the conversion of the present decree.” The disposition is expected to heat up the photovoltaic sector next autumn 2010. The last disposition to be quoted is the confirmation that operations connected to renewable energy production plants will be acknowledged as being for public use, non deferrable and urgent.